If you’ve ever thought about starting a blog – or a website of any sort – you’ve probably run up against a pretty obvious problem. Choosing what to call your blog tends to be wrapped up in a whole host of other problems – like knowing what topics you want to write about and what sort of tone you want to use. I’ve got stuck, plenty of times, at the naming stage: sometimes, it’s meant delaying projects for months because I just can’t figure out what to call the website. In this post, I’ll run through the three different options you have, and explain why (or why not) you might want to go for each. Note: This post is based on material from the Blog On ecourse in Writers’ Huddle – if you’re a member of Writers’ Huddle, do check out the rest of Blog On Module #1 for help with coming up with ideas for your blog. If you’re not a member, you can join the waiting list (and get some exclusive goodies) here. It’s quick – you don’t have to agonise about what to name your site/blog. You’ve got plenty of future flexibility, if you want to change what you write about – your site can be about pretty much anything (take a look at how different michaelhyatt.com and jfpenn.com are). By registering your name, you’ll prevent anyone else getting hold of it and potentially establishing a competing or confusing brand. Your name may well not be available, especially if it’s a fairly common name. Building your brand and website around your own name can make it harder to take on help (e.g. additional writers) in the future. You’ll probably struggle to ever sell your website (not particularly applicable if this is going to be your author site, but a consideration for bloggers). You may, of course, be able to sell the domain name to someone with the same name as you! You may potentially be faced with changing your name or renaming your blog in the future (e.g. if you get married or divorced and want to go by a different name as a result). It isn’t instantly clear what your site is about, if someone only has the URL – and there’s no particular “hook” in the URL to draw new readers in. 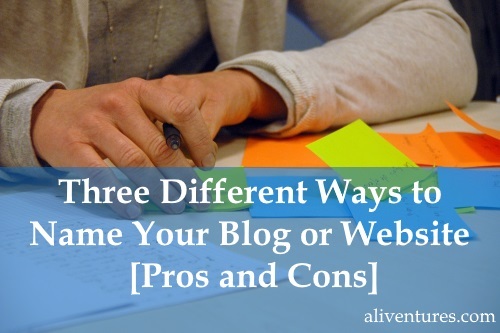 Many blogs, in particular, are named in a way that describes their topic. The URL alone gives readers a pretty good idea of what to expect, and may even give an indication of the tone (serious, laid back, etc) of the site. problogger.net – blogging from a “professional” perspective (rather than as a hobby). planningwithkids.com – getting (and staying) organised when you have children. ittybiz.com – advice for very small (“itty”) businesses. If you want to sell your blog in the future, this type of name is the best to have: a buyer can take over the URL and all the content fairly seamlessly. People will instantly know what your site is about, and the URL alone may be enough to encourage them to visit. Having this type of URL can help you stay focused and keep your site on-topic, which makes it easier to grow your readership (and can also make it easier to come up with good ideas for blog posts). It can be tricky to come up with a name that you like: you may find that a lot of good options have already been taken. If you want to change direction in the future, your URL can limit you – e.g. a site like dailyblogtips.com would struggle to change either their topic or their frequency of posting. You may not want to narrow down your topic / tone / audience too much at this stage: some writers and bloggers want to experiment a bit before making any firm decisions. In this case, you might want to combine your name with another word or part-word to create a new name for your blog. aliventures.com – the blog you’re reading! 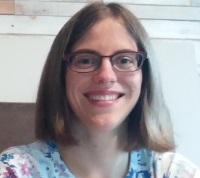 I’m Ali Luke: when I started the blog, I was still Ali Hale, and I knew a change of surname was likely in the future. You have a strong personal connection with the blog, plus at least some indication of a brand or topic coming through. There’s a good chance you’ll find a URL that you like, using this method (especially if you brainstorm a few options). You might find it tricky to sell the blog in the future, though that depends a bit on how distinctive your name is and how seamlessly (or not!) it fits into the URL. If your name is long or unusual, it may be tricky to incorporate it into your URL, and you might have to get creative using a shortened version or nickname. Keep your blog’s name short – one to three words is plenty. Long URLs are a pain for people to remember and they look clunky and cumbersome in email signatures and on business card. Use the full name of your blog/website in the URL. If your blog is called “Ali’s Adventures in Writing Land” and your URL is “aliventures.com”, that’s hard for readers to remember. If you’re really struggling to come up with a name, give yourself a time limit. Set a date for registering that URL … and if you haven’t come up with the perfect name, choose your best option. I’m still not 100% sold on “Aliventures” – my blog has done just fine, though. Do feel free to leave a comment below if you’re stuck – I’ll be happy to offer feedback on your idea(s) for blog names (and I’m sure other Aliventures readers will chime in too). For authors, one of the nice things about naming your website with your own name is that you can then use a tagline to tell more about it. Right now, I’m jenniferjensen.com (cool story about how a very nice guy gave up the url) and my tagline is “Reading, writing and real life.” When I switch up the focus of my blog, I can change the tagline without losing my subscribers or my brand. Excellent blog about taglines, Jennifer: they’re a perfect way to let readers know exactly what your site offers, and they’re considerably easier to change than a URL! I am trying to start my Retirement Lifestyle blog with the name: No so lazy day’s. What do you think? I had originally wanted to use my name “Linda Ann” but it is already taken. I like how you considered that you were going to be changing your maiden last name for what you wanted to name your website. If you had gone with “Ali Hale” you likely would have just stuck with that even if you legally changed your name. For naming a website after yourself, that’s great for personally branding. It also makes it easy for people to find you online. Not everyone wants that. The advantage with going with a brand is that it’s easier to bring in outside contributors. More importantly you can possible sell the website if you lose interest or have other business opportunities. It is possible to 301 redirect. People change domains all the time. 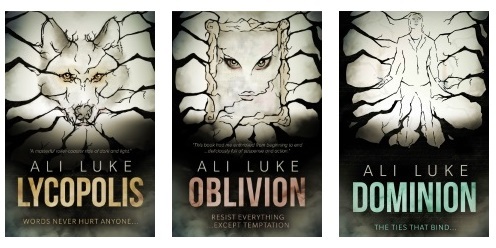 For a while, I was planning on sticking with “Ali Hale” for my blogging and using “Ali Luke” for my fiction, but I decided I’d rather just use my married name for everything! Good point about 301 redirects. And of course domains can and do change, even of quite well established sites (Firepole Marketing became Mirasee last year, as part of a big rebrand — and Boost Blog Traffic recently became Smart Blogger, without rebranding much). I’ve been using my name and I think the only thing that’s an issue is I have one of those surnames that is difficult to pronounce for some people. But I love having my own name as my URL and knowing nobody is going to take it from me. I’ve sometimes seen bloggers with an often-mispronounced name include a phonetic pronunciation on their “About” page — or even in an “About” snippet in the sidebar. Don’t know if that would work for you? My name, “Ali Luke”, has confused a fair few people over the years — sometimes when I’m guest blogging, people think I’m male, and I get called “Luke” in emails occasionally! I’d like to start writing and actually make some money..but I don’t know where to begin. There is already so much information out there. I mostly would like a venting blog. Any ideas would be great, how do I get a website and such. Thank you. Yes, it can all be very overwhelming when you’re getting started! These days, I always recommend beginning by starting a blog with WordPress.com. It’s quite straightforward, free (if you don’t mind having “wordpress” in your domain name) and if you want to go further with your blog in the future, you can transfer to self-hosted WordPress easily. Best of luck! I like the name Aliventures. It’s cute and creative.